In a flagrant show of hostility toward the Iranian nation and a clear exercise of double standards in dealing with international terrorism, the U.S. Department of State has removed the name of Mujahedin-e-Khalq Organization (MKO) from its list of foreign terrorist organizations. 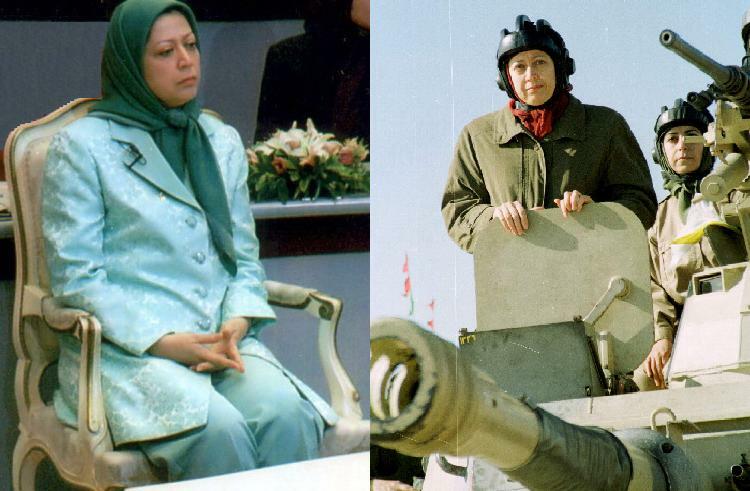 MKO which was established on September 5, 1965 is a terrorist cult which assisted Saddam Hussein in the 1980s war with Iran and killed more than 40,000 innocent Iranian civilians. It’s also responsible for the assassination of several high-ranking Iranian officials in the first years of Islamic Revolution and also 5 Iranian nuclear scientists since 2010. The U.S. government claimed that MKO has not been involved in any terrorist operation in the past 10 years and thus its designation as a foreign terrorist organization should be revoked. This hostile decision by the U.S. government is obviously an attempt aimed at putting more pressure on Iran over its nuclear program with the final objective of persuading Iran to make political concessions. 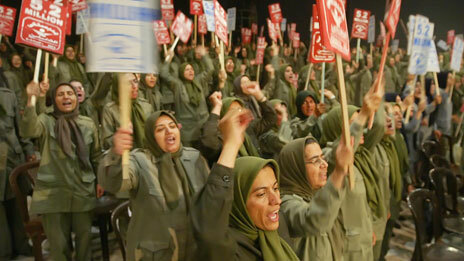 However, the high-ranking MKO officials have constantly declared that their final objective is a regime change in Iran. The Council of the European Union had removed the name of MKO from the EU’s list of terrorist organizations in 2009. In order to delve on the removal of MKO’s name from the list of foreign terrorist organizations by the U.S. Department of State and its underlying reasons, Iran Review conducted an interview with American journalist and researcher Tony Caralucci. Tony Cartalucci, is an independent geopolitical researcher based in Bangkok, Thailand. He maintains the Land Destroyer Report blog and is regularly republished across the alternative media. His work has also appeared translated in newspapers from Europe and the Middle East, to Asia and South America. He is currently co-authoring a book with geopolitical analyst and photographer Nile Bowie, titled, “Subverting Syria” available through Progressive Press. Cartalucci is one of the informed American sources about the underground activities of the MKO and has written an elaborate article in this regard for the Global Research. What follows is the text of Iran Review’s interview with Tony Cartalucci which was conducted a few days after the U.S. delisted MKO and provoked anger and astonishment across Iran. Q: Dear Tony; please tell us about the proofs and evidence which are available and attest that the United States and Israel have been funding, equipping and supporting MKO in its anti-Iran operations. I think Seymour Hersh and Glenn Greenwald have extensively written in this regard. Am I right? A: I am most familiar with Seymour Hersh’s reports. Seymour Hersh, citing those directly involved in U.S. programs to fund, arm, provide intelligence and even training to MKO terrorists, has reported extensively on the group over the years. In 2008, he published an article titled, “Preparing the Battlefield,” and revealed that MKO, still on the U.S. State Department Foreign Terrorist Organization (FTO) list at the time, was receiving “arms and intelligence, directly or indirectly from the United States.” In a 2012 article Hersh published, titled, “Our Men in Iran?” he reveals that MKO terrorists were actually trained inside the United States as far back as 2002. Hersh’s 2012 article also reveals that MKO terrorists have been working with Israel in carrying out their attacks within Iran, meaning that while Israel now attempts to convince the world that Iran poses a threat to its existence, Israel itself has been violating the security of Iran for over a decade, carrying out attacks that have killed Iranians and destroyed Iranian infrastructure. Similar admissions have been made in articles published by the British press. One article from the Daily Mail titled “Mossad Training Terrorists to Kill Iran’s Nuclear Scientists, U.S. Officials Claim,” states that U.S. officials “confirmed” that Israel was behind the MKO terrorists that killed several of Iran’s nuclear scientists. But perhaps the most damning evidence of all, comes from U.S. policy makers themselves, particularly from within the Fortune 500 funded Brookings Institution in their 2009 report, “Which Path to Persia?” where they fully admit MKO is a terrorist organization. Brookings policy makers stated explicitly that “undeniably, the group has conducted terrorist attacks,” yet MKO was still being considered as a viable “potential U.S. proxy.” Brookings added that, “to work more closely with the group (at least in an overt manner), Washington would need to remove it from the list of foreign terrorist organizations.” And that is just what U.S. politicians, former U.S. military and intelligence officers, and policy makers set out to do, lobby to get MKO delisted from the U.S. State Department’s FTO list. At one point, during the closing phases of America’s occupation of Iraq, the U.S. literally handed over one of its military bases, “Camp Liberty,” to MKO. The U.S. State Department played a leading role in organizing this handover, again, despite the U.S. State Department itself having the militant group listed on its own foreign terrorist list. There is no doubt that the United States was for over a decade, using a listed-terrorist organization as an armed proxy against the nation of Iran as part of a wider strategy to destabilize, manipulate, and terrorize its population. This was all done in direct violation of U.S. and international anti-terror laws and understandings. Now that MKO is delisted, we can only expect this support and MKO operations to expand. Q: What’s your assessment of the U.S. Department of State taking MKO off the list of foreign terrorist organizations? Will this decision help the MKO militants to foster and promote their terrorist operations across Iran and further their plans of destabilizing Iran under the guise of a civilian, peaceful organization? A: The sole purpose of the U.S. State Department delisting MKO was not because the organization has “reformed” itself in any way or abandoned its terroristic posture, but specifically for the U.S. to foster and promote their terrorist operations across Iran in a more overt manner, just as was prescribed by Brookings policy makers. It was the fulfillment of just one of many long-planned steps toward further destabilizing Iran. That it occurred during the presidential administration of Barack Obama is important – it illustrates that the West’s agenda is singular and continuous, independent of elections and the alleged political ideologies of sitting presidents. What began as part of the Bush “War on Terror” was carried out to completion under Obama, with the explicit support of his Secretary of State, Hillary Clinton. That policy seems to manifest itself first in corporate-financier funded think tanks like Brookings before being rubber stamped by politicians and sold to the public by the media, gives us a clearer picture of the West’s true power structure and helps us understand better what that true power structure has in store for Iran in the future. 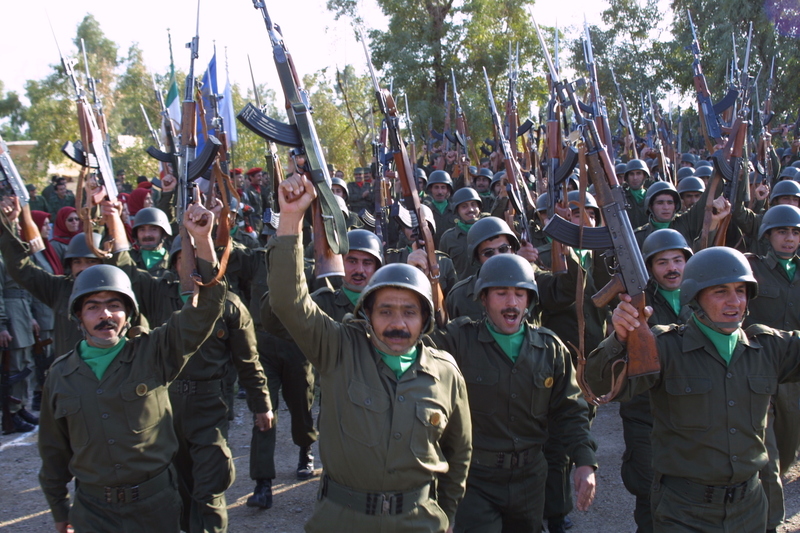 In regards to how MKO will be portrayed to the public, it is unlikely that the organization will exist under the guise of a “civilian, peaceful organization,” but rather will continue a more covert campaign of violence and subversion inside Iran and along its peripheries. The West, because MKO is now delisted, can simply be more liberal in regards to funding and arming it, but will do so still very much out of the view of an easily distracted American public. If and when the West succeeds at triggering wide scale unrest and/or violence within Iran itself, MKO may be introduced as an armed “pro-democracy” movement just as terrorists operating in Syria have been by the West. MKO’s Paris-based political wing will then be merged into a Western stable of “transitional leaders,” just as has been set up during the Western destabilization of Libya and Syria. Q: It was on the reports that MKO had invested a great amount of money in lobbying efforts to convince the U.S. government to remove its name from the list of terrorist organizations. Many high-ranking U.S. officials, including the governors of different states, Congressmen and former CIA officials had also supported their bid. Would you please explain more about this? What many may not know about MKO’s American lobbyists is that many of these men have been the most vocal proponents of the “War on Terror.” This includes former New York City Mayor Rudy Guiliani, former Secretary of Homeland Security Tom Ridge, Howard Dean, Ed Rendell, former FBI director Louis Freeh, retired U.S. Army General Wesley Clark, Lee Hamilton who in fact chaired the 9/11 Commission, and finally, former U.S. Marine Corps Commandant and former-National Security Adviser to President Obama, General James Jones. It is difficult to fathom why these men, who have built their political careers on decrying terrorism, would come out to support MKO, especially Generals Clark and Jones, when considering MKO has killed U.S. citizens, including 3 high ranking U.S. military officers. MKO had also attempted to kidnap a U.S. ambassador and attempted to assassinate a U.S. Air Force brigadier general. While one might claim MKO has reformed their ways, even Brookings policy makers seeking to further utilize the organization recognized that they are undoubtedly still involved in terrorism. Such overt, reckless abandonment of even the semblance of “rule of law,” with the U.S. State Department, former civilian and military leaders all brazenly violating their own nation’s laws while simultaneously charged with upholding them, threatens to plunge the entire nation into a crisis of credibility – one that seems to already be having a negative, impeding effect on Western foreign and domestic policy. Despite America’s attempt at window dressing, with the lobbying and the official “delisting” of MKO, what we have left is still an alleged “Western democracy” funding, arming, and encouraging a terrorist organization. Q: The U.S. Department of State claimed that the Mujahedin-e-Khalq have not been involved in terrorist operations during the past 10 years. Is this true? Many Iranians firmly believe that the hands of MKO are stained with the blood of five Iranian nuclear scientists in the past two years. Why has the U.S. government ignored and overlooked these atrocities? A: If the U.S. State Department has claimed MKO has not been involved in terrorist operations during the past 10 years, it may be worth investigating the most recent definition of what the U.S. government claims “terrorist operations” are. For example, the US State Department’s criteria for listing a group as a terrorist organization now states that the organization must, among other things, threaten the security of U.S. nationals or the national security of the United States. In the past 10 years, MKO does not appear to have attacked any U.S. targets, though, according to the U.S. government’s own definition of what constitutes terrorist activity, MKO is still most certainly engaged in terrorist operations against other nations. Again, U.S. policy makers themselves not only concede this fact, but seek to delist MKO specifically so it can expand its terrorist operations. U.S. officials have openly admitted that MKO, and indeed, even Israel, were both behind the assassinations of Iran’s scientists. Clearly U.S. policy is underpinned by law written entirely for convenience, free of any enduring, objective principle of justice. These laws betray absolutely the spirit in which the vast majority of Americans believe they were written in when they were first passed. This convenient legal circumvention of America’s principles says a lot about the current state of so-called Western “democracy” we are meant to believe is a morally superior standard to which the entire world must be held. Q: Doesn’t the decision made by the U.S. government show some kind of a duplicitous and hypocritical approach toward the issue of terrorism? After all, there’s credible evidence showing that MKO has been involved in several assassination attempts and other violent actions. How does Washington justify this move? A: Washington, for the time being is not really trying to justify this move, but on the most superficial level, at least publicly. Privately, the corporate-financier interests that dictate Washington’s policy have long since justified it as a simple matter of utility and “might makes right.” In other words, in regards to Washington, it is not a topic that will receive much public exposure across the Western media, and it will not be discussed often by Washington’s politicians. MKO’s activity will remain more or less clandestine in nature – because despite the delisting, they still fully intend to carry out blatant acts of terrorism against Iran – acts that regardless of their legal status in the U.S. won’t and can’t be publicized. A similar regiment of selective reporting can be seen at work with the West’s destabilization of Syria, and with the various terrorist organizations it is supporting there. Even if the West succeeds at triggering widespread violence and destabilization across Iran, whatever MKO is rolled into, perhaps the “Free Iranian Army,” its terroristic history, the American blood staining its hands, and its atrocities against the civilian population of Iran both past and present will not be discussed by the Western media. A similar campaign of perception management surrounded Libyan terrorists NATO had funded, armed, trained, and even provided air support for during the Western orchestrated overthrow of the Libyan government in 2011. We were told that these were “pro-democracy” “freedom fighters,” when in reality they were the Libyan Islamic Fighting Group (LIFG), not only a listed U.S. foreign terrorist organization, but listed by the UK as a proscribed terrorist group, and as an official affiliate of Al Qaeda by the United Nations itself. Rarely is LIFG mentioned in the Western media, and when it is, not many details are provided for readers unaware of its history. We can expect MKO to be treated in a similar fashion. Q: Do you know of other cases that the U.S. government has made concessions and compromised its stance with regards to terrorist groups in order to pressure a foreign country with which it has been at odds? Overall, I want to know your idea about the U.S. double standards in regards to terrorism when it comes to groups such as MKO. A: U.S. double standards exist only in the realm of public opinion. Behind closed doors, U.S. policy makers have a single standard – that of utility. The utility of a particular personality or group takes precedence over all other considerations. Public perception is often an afterthought, and as described previously, generally is handled by keeping the public in the dark about the true nature of America’s chosen proxies. U.S. support of MKO is but one of many examples of this. As mentioned before, the U.S. has provided significant aid to Libya’s LIFG, which has in fact shifted many of its fighters and NATO-supplied weapons into Syria to wage the West’s proxy war there against the government of President Bashar al-Assad. What many readers may not know is that LIFG and its various incarnations, has received, on record, support from British MI6 and America’s CIA for over 30 years, with the violence in Libya last year, and LIFG’s operations in Syria this year, being only the latest chapter in a long partnership with the West. LIFG fighters were in the Afghan mountains in the 1980′s during the inception of the joint U.S.-Saudi terror front, Al Qaeda – yet another example of American-made and subsidized terrorism. Sectarian extremists operating in Lebanon against Hezbollah, terrorists in Pakistan’s Baluchistan province, Jundallah, and extremists operating in Russia’s Caucasus region, are all examples of the U.S. supporting terrorist organizations to target and carry out violence against nations to either exact concessions or regime change. It really isn’t that the West’s leadership is betraying their principles – they clearly have no such principles. Instead, what we are seeing is the West attempting to dress up its agenda and methods to legitimize what is clearly unacceptable behavior the West’s respective populations would otherwise never tolerate. Q: And finally, what should be Iran’s response to this hostile decision made by the U.S. government? MKO has assassinated several high-ranking Iranian officials in the first years of Islamic Revolution, including former President, Prime Minister and judiciary chief, and several nuclear scientists in the recent years. Should Iran file a lawsuit against MKO in an international court? A: This is a difficult but important question to answer. Iran’s government, its military and intelligence networks in particular, are in the best position to know the true impact of MKO’s activities and what capabilities they themselves possess with which to counter these activities. Raising public awareness both at home and abroad of who the MKO is and what they are doing would be a good start. It is important to warn the public, police, and security forces regarding the tactics MKO terrorists employ – not only currently, but what their role will be if ever the West succeeds at triggering widespread unrest across Iran. It is very likely that MKO terrorists are already prepared to ignite violence at protests staged by Western-backed opposition groups. Just as the West has done against Syria, initially peaceful protests are targeted by Western-affiliated and trained gunmen, operating clandestinely from cover, targeting both their own protesters and security forces to ignite cascading violence. The resulting escalating violence will provide cover, just as it has done in Syria, for foreign militants to infiltrate and begin full-scale military operations against the government and its people. Second, like any dangerous pest, it is necessary not only to simply swat at it when it draws near, but to identify the source from which it was spawned, and eliminate it. In MKO’s case, it has bases inside of Iraq. Working closer with Iraqi security forces to eliminate these bases would be a good start. Additionally, Iran, Russia, and China have been working together to create a united front against these clandestine organizations, and appropriately labeling them as terrorists. Expanding this effort and working with other nations suffering from covert destabilization to develop the tools to protect national sovereignty is also very important. Currently, the greatest advantage the West has is a general state of global ignorance regarding the mechanics of covert destabilization and regime change, namely the use of foreign-funded NGOs, terror organizations, and foreign-backed opposition groups to strip away national sovereignty. A united front determined to raise awareness of these mechanics, while developing the operational capacity to counter them would steal from the West the cloak of secrecy and impunity they have operated behind for so long. Finally, whether Iran files a lawsuit against MKO in an international court or not, depends on which court is being considered. It may be worth investigating the creation of an international court that exists beyond the influence of Western corporate-financier interests. For example, the International Criminal Court has been exposed many times as but a tool for executing Western foreign policy. To approach the ICC for any reason but to condemn its lack of integrity and legitimacy, only serves to perpetuate its existence and standings amongst global public opinion. Iran Review is a Tehran-based site that claims to be independent, non-governmental and non-partisan and representing scientific and professional approaches towards Iran’s political, economic, social, religious, and cultural affairs, its foreign policy, and regional and international issues within the framework of analysis and articles. In an act of unequivocal and explicit hostility toward Iran, the United States took the name of Mujahedin-e-Khalq Organization (MKO) off its list of foreign terrorist organizations on Friday, September 28, showing its unconditional support to the sworn enemies of the Iranian nation straight from the shoulder. The U.S. government announced the decision a few days after the Secretary of State Hillary Clinton submitted a file of classified information about the terrorist cult to the Congress. The decision was made under the pretext that MKO has not carried out any terrorist operation over the past 10 years. This controversial announcement which bespeaks of the United States' undeniable animosity with the Iranian people comes while there are several reliable documents confirming that the MKO is responsible for the killing of more than 40,000 Iranians during the 1980s war between Iran and Iraq. This gang has also assassinated Iran's former President Mohammad Ali Rajaei, Prime Minister Mohammad Javad Bahonar and judiciary chief Ayatollah Mohammad Beheshti in the first years of Iran's Islamic Revolution in 1979. Since 2010, it has also assisted Israel's Mossad to kill four high-ranking Iranian nuclear scientists in a bid to thwart Iran's scientific progress. decision: "this has been the correct decision, albeit long overdue, in order to remove a major obstacle in the path of the Iranian people's efforts for democracy." Rajavi promised that her group will step up pressure on Iran, and one may easily visualize what devilish and malicious plans they have in mind for the people of Iran. New York Times says that MKO bribed some of the influential U.S.politicians in the Department of State and some lawmakers in the Congress to convince them to uphold the anti-Iranian bid. Some of the high-ranking U.S. officials supporting MKO include former CIA Directors, R. James Woolsey and Porter J. Goss; former FBI director Louis J. Freeh; former U.S. President George W. Bush's homeland security secretary, Tom Ridge; Attorney General, Michael B. Mukasey; and President Barack Obama’s first national security adviser, Gen. James L. Jones. The MKO which receives underground funding from Israel and some of the Western governments had invested a lot in attracting the support of high-ranking American politicians and is said to have paid fees amounting from $15,000 to $30,000 to these people as an incentive to compel them to attend their rallies and give speeches in support of their anti-Iranian activities. The former Democratic governor of Pennsylvania, Edward G. Rendell, admitted in March that he had received a total of $150,000 from the group to support their cause. One day after the U.S. government de-listed MKO, Lord Ken Maginnis, a neo-conservative member of the House of Lords and a former UK parliamentarian called it a "landmark decision by U.S. State Department" and "a victory for justice." "Now, the best way to ease the threat of a nuclear-armed Iran is to facilitate a regime change in Tehran. And that is on the horizon. The Iranian resistance doesn’t need troops or arms; it needs the support of freedom-loving people and of governments that eschew tyranny," he wrote in an article. 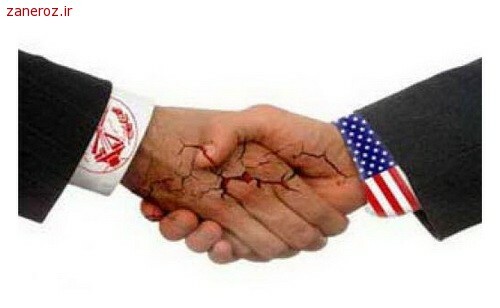 There are credible reports, indicating that MKO members have received considerable amounts of money, military training and equipments from the states which are hostile to Iran and fear of its growing influence in the Middle East, including the United States, Israel and Saudi Arabia. In an article published in New Yorker on April 6, 2012, the renowned investigative journalist Seymour Hersh revealed that how the U.S.
government has furtively supported the MKO terrorists. The article entitled "Our Men in Iran?" documented that members of the MKO were trained in communications, cryptography, small-unit tactics and weaponry by the Joint Special Operations Command (JSOC) at a base in Nevada starting in 2005. (JSOC) is a component command of the United States Special Operations Command and is known to have carried out clandestine operations in Iran with the direct authorization of George W. Bush. On July 7, 2008, Marsha Reid revealed in an article for Geopolitical Monitor that JSOC has been kidnapping members of Al-Quds force of Iran's Revolutionary Guard and taking them to Iraq for torturing and interrogation. It's said that MKO has been involved in these underground operations. soil: "one of the most under-reported political stories of the last year is the devoted advocacy of numerous prominent American political figures on behalf of an Iranian group long formally designated as a Terrorist organization under U.S. law. A large bipartisan cast has received substantial fees from that group, the Mojahedin-e Khalq (MEK), and has then become their passionate defenders… As The Christian Science Monitor reported last August, those individuals have been paid tens of thousands of dollars to speak in support of the MEK." According to an NBC News report by Richard Engel and Robert Windrem, the terrorist group "is financed, trained and armed by Israel's secret service." Two unnamed senior officials in the U.S. government also admitted that "the Obama administration is aware of the assassination campaign" directed at Iran's nuclear scientists. Iran has long insisted the Israel and the U.S. are using MKO to carry out terrorist attacks on its soil, including the murder of its scientists, and NBC notes that these acknowledgments "confirm charges leveled by Iran's leaders." NBC has also pointed out that MKO has previously worked with the mastermind of the first attack on the World Trade Center in New York City. Qorban Ali Husseini Nezhad, a former senior member of MKO who served the group for 30 years as a foreign affairs analyst and Arabic translator and declared his defection from MKO after he ran away from Temporary Transit Location (Camp Liberty) on Wednesday April 25, 2012, revealed terrible facts and figures regarding the complicity of Massoud and Maryam Rajavi with the former Iraqi dictator Saddam Hussein during the years of war with Iran. In a letter following his defection, he unveiled that Saddam Hussein had allocated a remarkable portion of Iraq's oil revenues to MKO so as to strengthen this terrorist group in its anti-Iranian efforts. 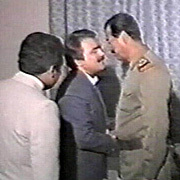 According to Husseini Nezhad, in his last visit with Saddam Hussein in August 2000, Masoud Rajavi "asked Hussein to increase his oil share up to 100 thousand barrels a day (3 million barrels a month), according to the documents and letters I translated or reports composed by his closest comrades that I was able to read. Rajavi received his oil share in coupons which were then sent to Europe to be changed into dollars. Rajavi's quota from Iraqi oil was 50 to 70 thousand barrels before the visit." Another MKO defector Maryam Sanjabi also pointed out that the group has been receiving funds from Israel and Saudi Arabia. Speaking in an exclusive interview with Ashraf News website she said there is evidence about the relations and cooperation between the MKO and the Saudi kingdom. She also revealed that when she joined MKO, she was told from beginning that leaving the organization would be impossible: "When I was appointed as a senior member of the MKO leadership council, I was told that I could never leave the organization. Otherwise, I had to kill myself by taking a cyanide pill." All in all, there are bitter and painful truths behind the MKO and the life of its members. They are a group of misguided people who have intentionally or inadvertently betrayed their countrymen and should be held accountable over the atrocities they have committed and the bloods they have spilled. The U.S. Department of State's delisting of MKO will embolden the terrorist gang and make it able to carry out more terrorist operations under the umbrella of a civilian group which is simply opposed to the Iranian government, But their ultimate goal is disintegrating Iran and destroying the current establishment of the country. People of conscience from around the world should lend a hand and counter the threats which this dangerous group poses to the security of Iran, Middle East and the whole world. Kourosh Ziabari is an award-winning Iranian journalist, peace activist and media correspondent. He has won Iran's 18th Press Festival first award in the category of political articles. Kourosh is a member of World Student Community for Sustainable Development and also a member of the European Association for Teaching of Academic Writing. TEHRAN (FNA)- Iran's Foreign Ministry Spokesman Ramin Mehman-Parast lambasted the US police and security forces for the Wednesday attack on him and other members of the Iranian delegation to the UN General Assembly meeting, saying that the hosting country must be accountable for the security of foreign diplomats. "Unfortunately we witnessed a form of US police's indifference to the actions of the terrorist members of the Mojahedin-e Khalq Organization (MKO) and no matter how many times we gestured to the police that they need to stop the attacks of these individuals, they remained apathetic," Mehman-Parast told reporters on the sidelines of the 67th session of the United Nations General Assembly in New York. Mehman-Parast added that the police only intervened when the attack intensified and later released a statement that the incident had taken place. The Iranian diplomat pointed out that the host country is responsible for the safety of diplomats and permitting such an incident to occur is not befitting the US as a host. "It is unfortunate to witness such behavior towards our country and to see the West permitting this terrorist cell continue its activities," Mehman-Parast added. Mehman-Parast and several other Iranian officials were walking to their hotel when they were surrounded and assaulted by MKO terrorists on Wednesday. New York City police and the US security forces made no arrests as the attackers physically abused members of the Iranian delegation accompanying Iran's President Mahmoud Ahmadinejad in his visit to the United States to address the 67th session of the UN General Assembly. 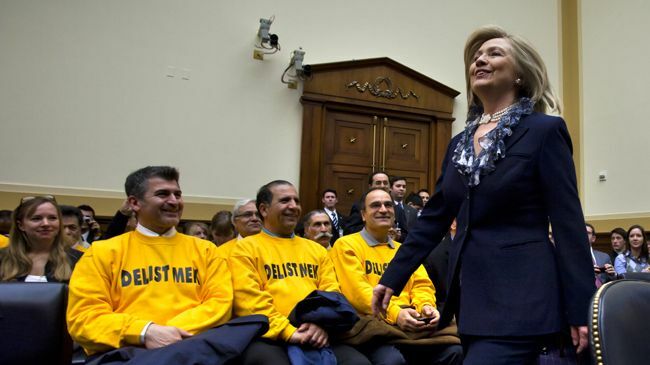 The incident came days after US Secretary of State Hillary Clinton notified Congress that she plans to take MKO (also known as the MEK, PMOI and NCR) off a State Department terror list. The MKO is blacklisted by much of the international community.